NOTE: For your convenience, each section has a PDF of the information for you to download. 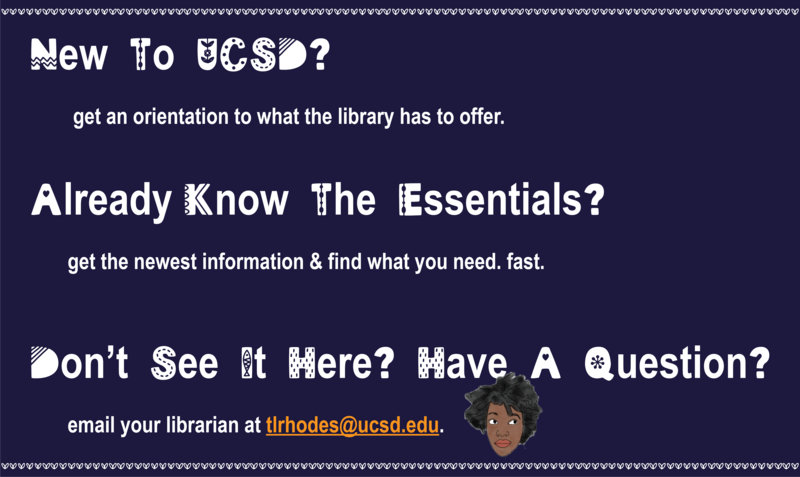 Review this library orientation to gain a base level knowledge for understanding and accessing all our resources and services at the UC San Diego Library. New to UCSD? Things to do first. Can't find it in the catalog? Get it from another library. Free. Download this app! About Browzine. Create an account for a citation management software. What new graduate students should do their first week here, and what they should learn as they work towards their PhD.